What are Requirements of Canada Work permit? Eligible foreign workers, who wish to work in Canada on temporary basis, have to apply for a Canada work permit. There are certain job categories for which Work Permit is not necessary. It is necessary to ensure that whether one falls into these job categories before applying for a work permit. 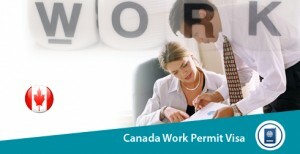 Employers, who wish to hire employees under work permit have to get a document provided by the Canadian Government known as labour market opinion (LMO). However, there are some jobs that do not require an LMO. Individuals, who wish to apply for Canada Work Permit Visa, have to be aware that they should meet certain requirements to enter Canada, reside in Canada and avail a work permit. Spouse and the dependent children may also apply to accompany the individual. Must have a passport that is valid or a travel document that is approved by one’s own country of residence. Must be able to support themselves and dependents financially during the stay in the country. Must exhibit that they are intend to reside in Canada on temporary basis. Must not have any criminal record. Work permit is issued upon approval of Canada Work Permit Visa Application. Individuals may also need to apply for a temporary resident visa. They have to ensure whether they fall into list of countries that requires a visa and then apply for a temporary resident visa. 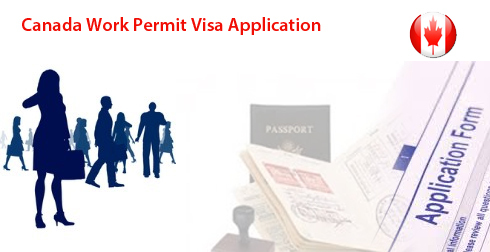 Canada Work Permit Visa Application form has to be signed by them, whereas in case of children under 18 years the application form has to be signed by their concerned parents. Canada Work Permit Processing Time depends on the Canada’s visa offices located in the various continents across the globe. I’d like to live and work in Canada.